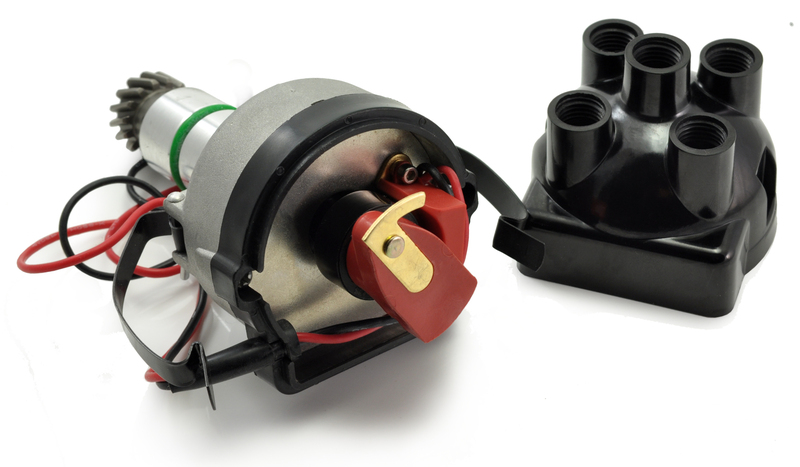 A Powerspark ignition kit fits inside your existing distributor and replaces the points and condenser. The kit uses a simple magnetic trigger and optimises dwell to provide a reliable and consistent spark across the rev range. It is easy to install and maintenance free. Electronic ignition will give your classic car better starting and smoother running. The kit will automatically shut down if the ignition is left switched on without the engine running to prevent component damage. Powerspark Electronic Ignition Kits are designed to work with a coil resistance above 1.5 ohms, typically 3.0 ohms. Some performance coils operate at a lower resistance and will need the High Energy electronic ignition kit. We recommend moving away from Copper core HT leads to protect any electronic ignition and to maximise the ignition capability. Click here to read more about our HT leads. How does the Powerspark Electronic Ignition kit give benefits? The POWERSPARK electronic circuit senses startup and develops more energy for quicker, easier starting, which leads to better fuel economy and smoother running in general. It also has built in ‘over current protection’ that shuts down the system, preventing component damage if the ignition is left switched on and the engine not running. Not sure if electronic ignition is for you? I have recently fitted powerspark ignition to my mgb. I fitted a 12v coil instead of the ballast resistor one. The car runs fine, but my rev counter no longer works. The distributor is a 45d. Any ideas? Can you comment on which type the rev counter is please? Is it an RVi or RVc type? Normally the single tacho wire should go to the negative side of the ignition of the ignition coil provided it is not a wire with voltage on it that should be fine. Thank you for your post… it is comments like this that require a little more detail for us to offer any help as I do not understand what you are referring to exactly.